Thank you for visiting my page and donating to the campaign. 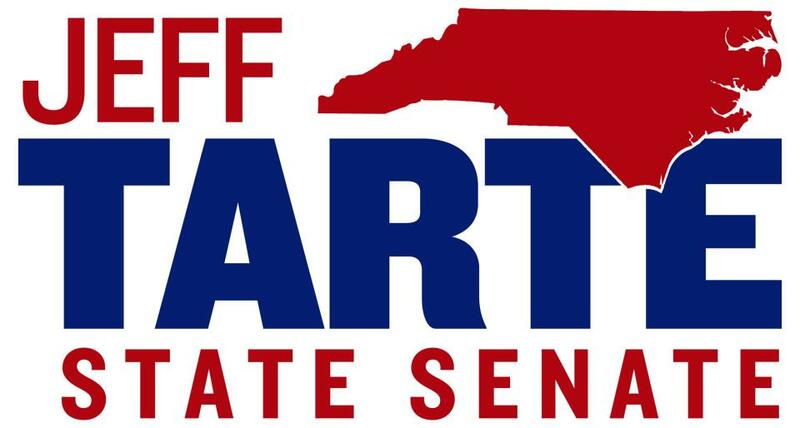 We need your help to make sure that North Carolina continues to be a great place to live, work, and raise a family. I am humbled by your support and will continue to work hard for you the citizen in Raleigh. If you ever need anything do not hesitate to contact me at jeff@jefftarte.com. North Carolina law requires political committees to report the name, mailing address, profession and name of employer's specific field for each individual whose contribution aggregate is in excess of $50 in an election. North Carolina law prohibits the solicitation of lobbyists, corporations, and foreign nationals. Please disregard this solicitation if it reached you in error. Contributions cannot exceed $5,200 per person per election cycle. An individual may contribute $5,200 for the Primary Election and $5,200 for the General Election. Couples may contribute $10,400 per each election from a joint account, but such a contribution requires both signatures.